Palmer Lake is a community of just 77 residences tucked on the easternmost stretch of Palmer Boulevard. Its first residences were built starting 2013, builds that came out as superior choices of Sarasota homes for sale. The strong market entry of Palmer Lake homes for sale mirrors the strong rebound of the U.S. housing sector after the Great Recession. It likewise reflects the savvy of the community’s developer, the West Lake Village, California-based Ryland Homes which later merged with Standard Pacific of Irvine, California, to form one of the country’s largest homebuilders. At Palmer Lake, Ryland employed its decades of experience in building stylish and energy-efficient homes. The builder brought to this community its award-winning Sabal home series which has become popular with its meld of Mediterranean revival design and Key West architectural style. 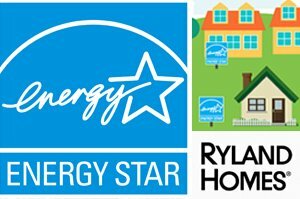 At the same time, Ryland delivered not only Energy Star-certified residences in this community. It also won prospective buyers of Sarasota homes for sale in its builds featuring hurricane-resistant roofs, windows and doors. Palmer Lake homes for sale likewise spur buying interest with their classy finishing touches which include maple cabinetry and bone ceramic bathroom tiles. Five distinct designs were built at Palmer Lake, with two-story construction and lakeside homes dominating the Ryland selection. These residences feature floor areas ranging from 1,551 square feet up to 2,892 square feet designed with three to four bedrooms. Price quotes of Palmer Lake homes for sale listed onwards from late 2016 were between the high $200s and the $300s. There are no CDD fees in Palmer Lake, and its homeowners’ association fee covers lawn maintenance, irrigation water and basic cable. This community provides a recreation area with a gazebo and picnic facilities. Palmer Lake’s grounds have been meticulously landscaped to include native Florida plants and trees. These trimmings perfectly blend with the residences’ brick paver driveways leading to the community’s lone street, Nandina Drive that doglegs inside the property. Palmer Lake is in one of the best suburban neighborhoods offering Sarasota homes for sale. 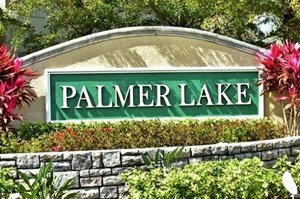 This community shares its Palmer Boulevard location with the classy Eagle Trace Estates, Laurel Lakes and the new development Artistry Sarasota. The 27-hole golf course of Laurel Oaks Country Club is likewise just southwest of Palmer Lake. 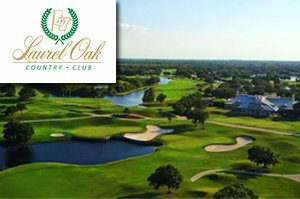 Besides golfing, this 800-acre country club also offers memberships for its facilities for tennis and socials. An additional neighboring attraction is the 600-acre Rothenbach Park on Bee Ridge Road just south of Palmer Lake homes for sale. Also with a nearby Publix supermarket, this public park provides some five miles of paved trails for walking, jogging, or biking. It also has a pavilion with picnic facilities and rest rooms. These family-oriented facilities are complemented by several top-rated schools near Palmer Lake. These include Tatum Ridge Elementary, McIntosh Middle and Sarasota High. Additionally, commercial hubs and business centers are as easily accessible via Interstate 75 west of the community. Palmer Lake residents can conveniently access this highway through Fruitville Road north of their neighborhood. The same road is a conduit westward to the varied points of interest in downtown Sarasota. Bee Ridge Road south of Palmer Lake likewise provides a convenient route west to more life and leisure activities including those in the storied beaches of Siesta Key. Below are the current real estate listings available at Palmer Lake.